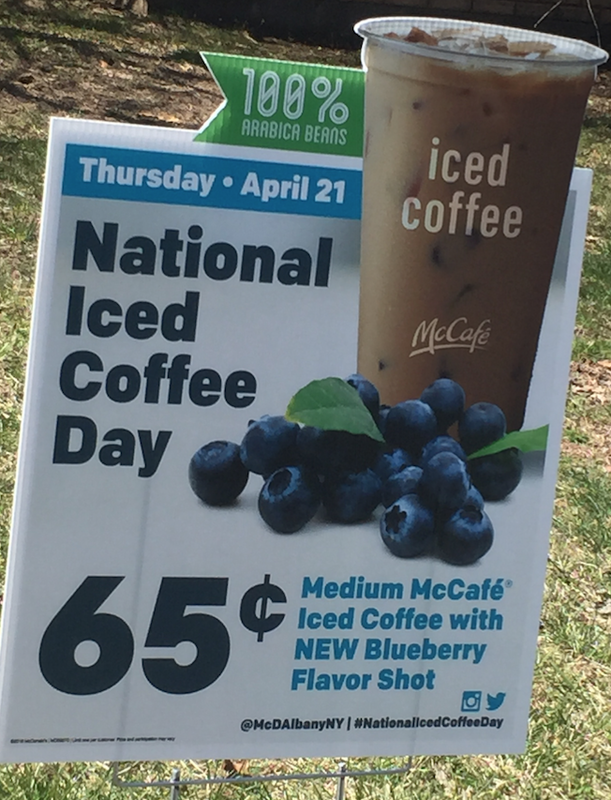 Celebrate National Iced Coffee Day this Thursday with a $0.65 Medium McCafe Iced Coffee with a blueberry shot at McDonalds! I hope all McDonald's participates. The blueberry is decent.